A Brooklyn grandfather who spent five years in jail only to have the D.A. suddenly drop his murder case intends to sue the NYPD and the Brooklyn District Attorney's Office for $50 million. Lawrence Wright, 61, was arrested in early 2013 for the fatal stabbing of his high school friend Denise Pannell inside her Sheepshead Bay apartment. Though Wright had impaired verbal and cognitive ability due to a previous stroke, detectives in the 61st Precinct held him for nearly 17 hours without a lawyer before recording a rambling video confession. After his arrest, Wright was held without bail for five years as he bounced between Rikers Island and state-run psychiatric facilities. 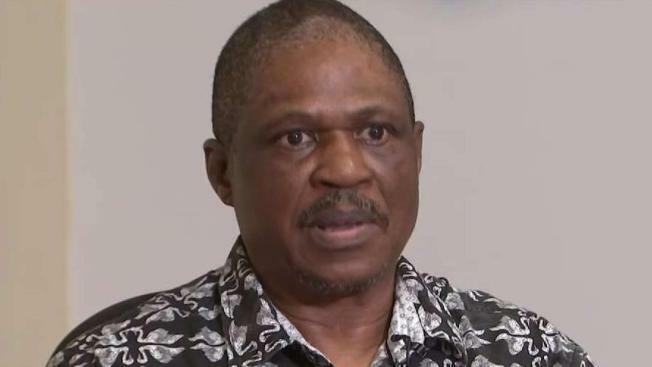 In his first sit-down interview since being released from jail, Wright said that confession was coerced by detectives who took advantage of his brain injury. "I just said whatever they wanted me to say because I was tired," said Wright. 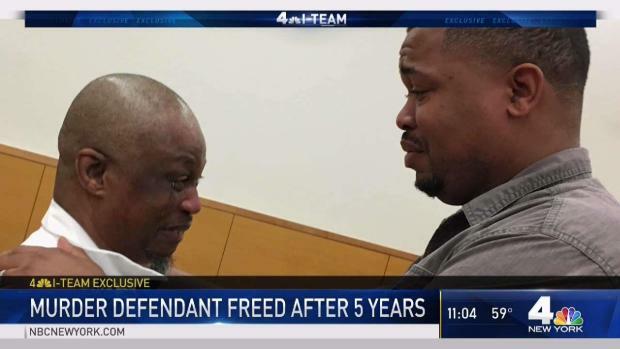 A Brooklyn grandfather has been freed from jail after an I-Team investigation found police obtained a questionable confession and ignored a key witness during a grisly 2013 murder investigation. Chris Glorioso reports. Earlier this year, a series of I-Team stories cast doubt on the accuracy of the video confession and on the thoroughness of the police investigation. Among other things, the original 911 caller who alerted police to Denise Pannell's body told the I-Team that detectives ignored her when she said she saw a man in a maintenance uniform creep into Pannell's apartment and appear to steal jewelry the night before her body was discovered. After the I-Team investigation, Brooklyn D.A. Eric Gonzalez dropped the case against Wright. In court, Assistant D.A. Bernarda Villalona said Wright had a deteriorating cognitive condition which made it likely he would never be fit for trial and the decision to withdraw the murder charge was made "in the interest of justice." The District Attorney’s Office did not explain why. Paul Prestia, the attorney representing Wright in the civil claim, said it makes no sense that prosecutors would have confidence in the confession of a brain-damaged defendant -- but at the same time believe that defendant is too impaired to understand what’s happening in a trial. "Lawrence Wright is clearly so innocent of this crime, and for them to prosecute him for five years? There is no excuse for that. There is no way to justify it," said Paul Prestia, the attorney representing Wright and his family. Though Denise Pannell was stabbed more than 20 times, leaving her apartment a bloody mess, police never found blood or DNA on any of Lawrence Wright’s clothes. They did find another man’s fingerprints and boot prints that didn’t match Wright’s shoes. Prestia criticized the NYPD and prosecutors for concluding Wright committed the grisly murder before figuring out more about the forensic evidence inside the victim’s apartment. Wright was arrested after he approached a police officer outside the crime scene, asking if Pannell, his old high school friend, had indeed been killed. "It is shocking to me that the New York City Police Department did not do an ounce of investigation on this case and simply took Mr. Wright off the street," Prestia said. "I hate to say this [but] in some places black lives don’t matter, because clearly Denise Pannell’s life didn’t really matter much, since they didn’t bother to investigate or really get to the bottom of what happened." Both the Brooklyn D.A. and the NYPD declined to comment for this story, citing the pending litigation. But last May, NYPD spokeswoman Sgt. Jessica McRorie, expressed confidence in the original investigation despite the collapse of the case. When asked if police would reopen a probe into Denise Pannell’s death, McRorie said, "Following a thorough NYPD investigation, Lawrence Wright was arrested and charged with the murder of Denise Pannell." Jamel Wright, Lawrence Wright’s son, said the refusal to acknowledge mistakes in the original case and open a new investigation is evidence his father was unfairly prosecuted. "The fact that they’re doing that tells me you guys still stand by your decisions," Jamel Wright said. "I think it is an injustice to Denise [Pannell] and her family." At the time of Lawrence Wright’s release, Denise Pannell’s mother, Pearlita Pannell, told the I-Team she supported the decision to set him free. The murder victim’s sister, Darlene Pannell, has suggested she believes Wright was the killer.